Blow your guests away with the Cookmaster Fire Pit Grill, a showstopping outdoor centrepiece that’ll keep your guests warm and grill them a juicy steak at the same time! Be warned. Owning the Cookmaster 2-in-1 Outdoor Fire Pit Grill will quickly make you a social magnet. Every man and their dog will want to come over to see this showstopping outdoor centrepiece. Whether you’re hosting a small gathering or a big party, your guests will love sitting around the fire pit, enjoying a refreshing drink and swapping tall tales. 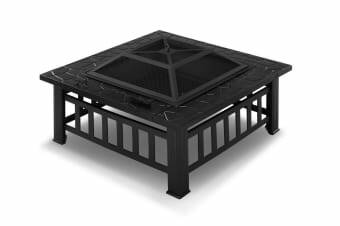 It looks superb with a stylish matte steel finish, and boasts a number of safety features, including a mesh dome screen lid, to ensure your guests can enjoy the fire pit worry free. 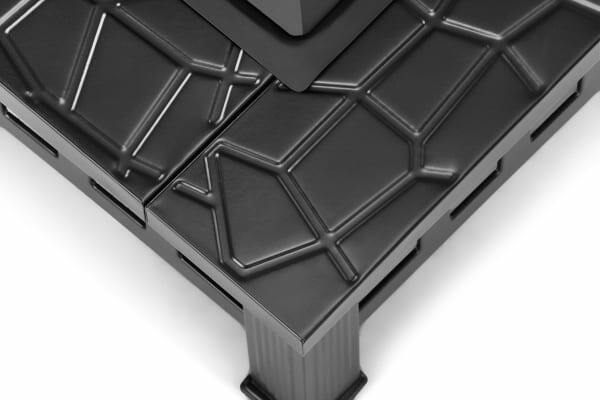 But wait, there’s more…Attach the included grill to use the fire pit as an outdoor BBQ! Whether you’re cooking sausages, shrimp, steak or skewers, the fire pit will grill your meal to juicy perfection. The intense heat of the pit will cook foods quickly and evenly while imparting a mouth-watering BBQ flavour. You can even experiment with different flavoured woods to enhance the flavours even more.